NASCAR fans are probably glued to their television screens or radios following today's running of the Daytona 500. 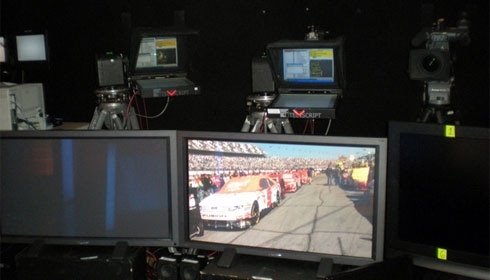 But what does it look like behind the scenes of the NASCAR on FOX coverage? What do the announcers see from inside their set called the "Hollywood Hotel"? 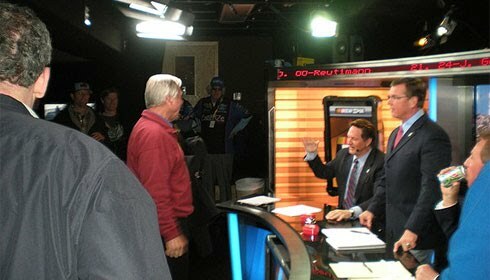 Here are some pictures posted to TwitPic by NASCAR on FOX. when broadcasting to the audience. Photograph courtesy of FOX Sports. A Short Break: Discussions on the NASCAR on FOX set during a short break. Photograph courtesy of FOX Sports. Where They Live: This is the NASCAR on FOX compound at Daytona. 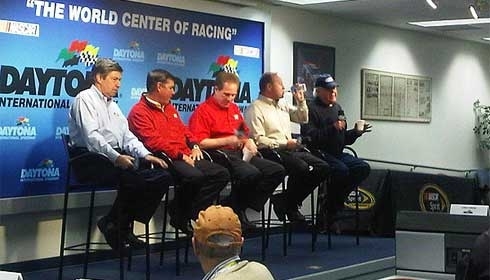 during press conference on the morning of February 10, 2010 in Daytona. 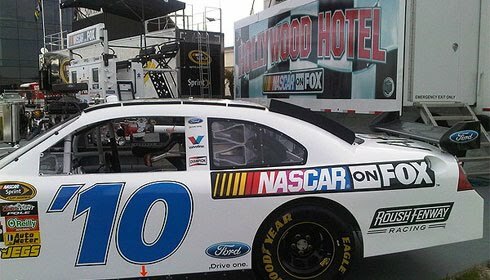 You can follow NASCAR on FOX on Twitter and/or see their tweeted pictures at TwitPic.